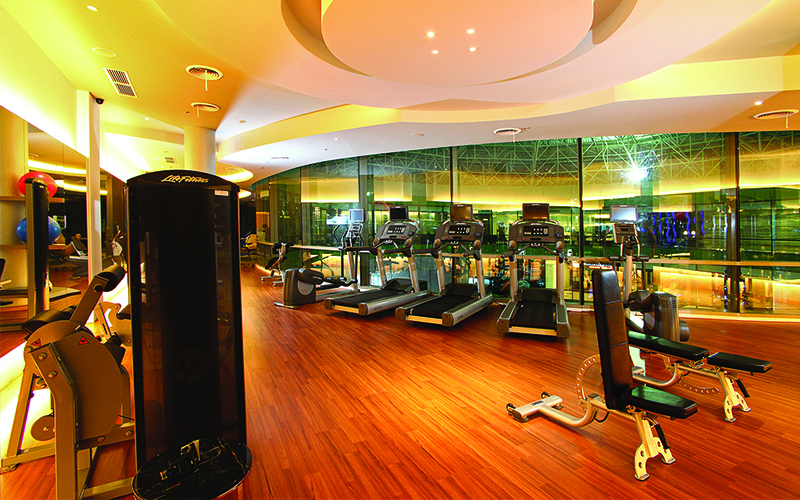 Step into the clean and brightly lit gym of Hotel H2O, equipped with all the necessary and well-maintained equipments such as treadmills, stationary bikes and heavy lifts. Completed with large mirrors conveniently placed to assist you in your workouts. Post workout, sweat it out, relax and gain the benefits of antioxidant absorption with an interior set at 45 degrees Celsius and a humidity of 20%. This treatment helps in cell regeneration within the body, improved blood circulation to help deliver vital nutrients to the entire body and improving the efficiency of waste excretion, as well as reducuction of the active oxidation within the body.